It’s even better to listen. Be this within a company, amongst levels of management and between employees, or even directly to customers and clients. The feedback ecosystem is underpinned by powerful online survey creators - all you need to do is utilise a questionnaire generator to tap into so much valuable opinion and insight. Surveys are an effective and direct way to gain insight into the perceptions, experiences and thoughts of your organisations members and its patrons. An online survey is attractive as it is perceived as less confrontational that a face-to-pace pow wow between H.R. and an employee, or a phone call from a sales representative to a client. Surveys can be anonymised for extra encouragement for candid responses. What’s more, is that you can utilise Survey Nuts as your survey maker and immediately start analysing the data and evaluating what you are doing right and what you can improve upon. The range of possibilities go far beyond the humble CSAT score (testing customer satisfaction), and can provide critical insights and understandings into certain workplace, customer and employee conduct and trends. You can use several in tandem and analyse the results to obtain a true “finger on the pulse” litmus test of a particular strata of your organisation. Employee Satisfaction Survey: To determine the levels of happiness in the workplace - do your team want to be paid more, get better benefits, more vacation days - or are they delighted with how things are? You can use the survey results to understand the effectiveness of your business units and perform meta-analysis and strategic planning. 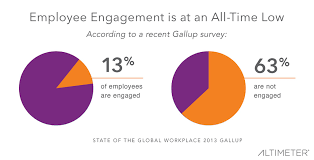 Employee Engagement: it is no secret that higher engagement means higher performance, and increasing your company’s bottom line. 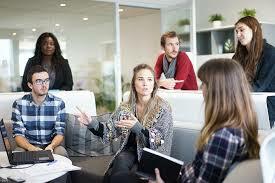 The Institute of Employment Studies in the U.K. highlights a positive attitude of employees for the company as a one of the make-or-break business success markers to consider. Working Environment: Make a survey with appropriate questions to gauge what your employees think about their working environment. This is useful if you plan workspace upgrades, policy or personnel changes and want to invest in the appropriate areas. Your employees will value being asked, and you can save investing in costly unnecessary changes. Management Evaluation: This is one of the most powerful ways for an H.R. department to understand performance at a trickle-down level - are certain teams performing less optimally because of management issues? Is this effecting employee turnover and ultimately the bottom line of your profits? Ask and you will be able to ascertain the factors at play. Customer Service evaluation: This can help you to understand if you have a customer fall-off issue. Perhaps there are some ways that customer service can be improved - you can only figure this out by asking, and being open to hearing the results. Individual Evaluation: This is an excellent companion survey to the Customer Service Evaluation, which can form a part of a wider feedback for specific employees. Find out what customers think of the particular employee they dealt with and understand what needs to be improved upon or appraised. Peer Evaluation: Conduct surveys amongst sales teams and customer service teams so that members can share their performance thoughts on their colleagues. SurveyNuts provide you with an easy to use, effective surgery creator tool so that you can ask the right questions - and listen. To learn more, take a look at the features and get started today!